Left-centrist candidate Emmanuel Macron has won the second round of the French presidential election – a race expected to have widespread ramifications for France, Europe, and the world. Speaking at a Moscow roundtable on the election results, international affairs scholar Nikolai Platoshkin explained why Kiev may soon be in for big trouble. 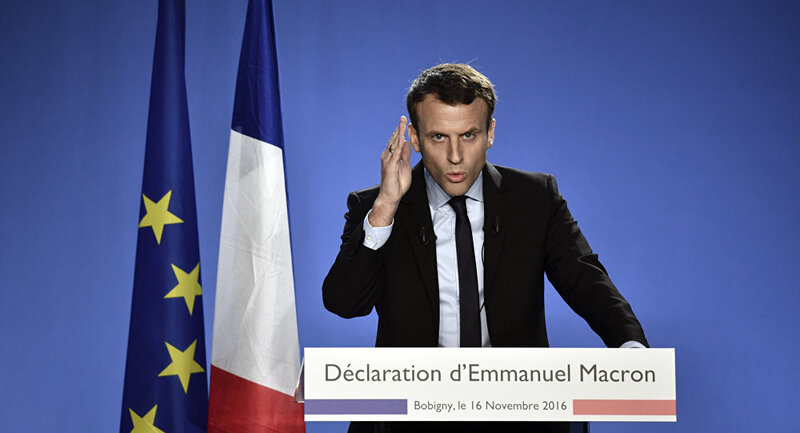 On Sunday, Emmanuel Macron, the former investment banker, economy minister, and leader of the centrist En Marche! party, won 66.1% of the vote, defeating National Front party candidate Marine Le Pen, who won 33.9%. 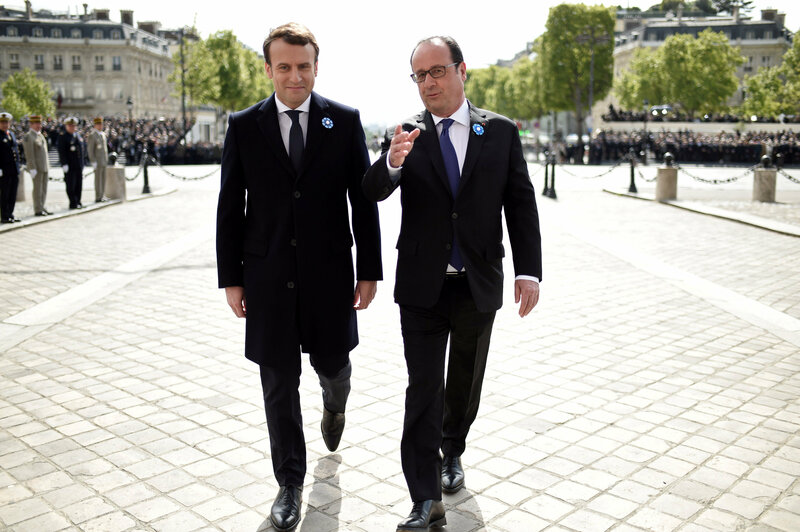 The French elections and Macron's victory raised questions about the geopolitical ramifications of the news, with analysts commenting on everything from French EU policy and NATO to the future of Paris's relations with the United States, Russia, and China. Naturally, President-elect Macron's Ukraine policy has also been put under the microscope. As a key sponsor of Kiev's post-Maidan coup authorities, a member of the Normandy contact group on Ukraine, and a party to the Minsk agreements on peace in eastern Ukraine, France has had a crucial role to play in instigating, and perhaps resolving, the Ukraine crisis. But under Macron, Paris's position may face serious changes, and of the kind which would not be to Kiev's benefit. Speaking at a roundtable dedicated to the elections at the Rossiya Segodnya International News Agency in Moscow, Nikolai Platoshkin, the head of the department of international relations and diplomacy at the Moscow University for the Humanities, said he believes that the President-elect will pay less attention to processes in the post-Soviet space than his predecessor. As for the Normandy Four (which includes Ukraine, Russia, Germany and France), Macron is altogether disinterested, Platoshkin said. German Chancellor Angela Merkel (L), French President Francois Hollande (C) and Ukrainian President Petro Poroshenko (R) arrive to address a press conference following talks at the chancellery in Berlin. File photo. "[Former President] Nikolas Sarkozy and [outgoing President] Francois Hollande] were strongly engaged in the post-Soviet space," the academic recalled. "Sarkozy had taken a role for himself in settling the Georgian-Ossetian conflict. Hollande, like German Chancellor Angela Merkel, had been keenly interested in the Normandy format; the two of them had started it," he added. As for the future of Normandy, Platoshkin suggested that Macron's lack of interest in the negotiations format means that the whole thing may fall apart. "Macron will not do anything. The Normandy format has died, because Macron does not give a damn about it. Macron, just like President Donald Trump, simply doesn't care about Ukraine," Platoshkin stressed. The academic suggested that ultimately, "Macron is not connected to and does not want to get involved with the political opportunists in Kiev." Last week, Vladimir Putin and Angela Merkel said they were confident that work in the Normandy format would continue following the presidential elections in France. The leaders also agreed that it would not be appropriate to create a new negotiations format for the Ukraine settlement at this juncture. In February 2015, the leaders of the Normandy Four group agreed on a ceasefire plan for eastern Ukraine in the Belarusian capital of Minsk. The agreement, signed by Kiev and Donbass militias, resulted in a shaky truce in the civil war in Ukraine's southeast. Kiev had sent the military to the region in April 2014 to quell popular unrest over the results of the coup in Kiev two months earlier, which resulted in the ouster of the unpopular but democratically-elected government of President Viktor Yanukovych.